Cannabis and religion have always had a close and interweaved history, and this new church is set to bring this relationship straight back into the 21st Century. 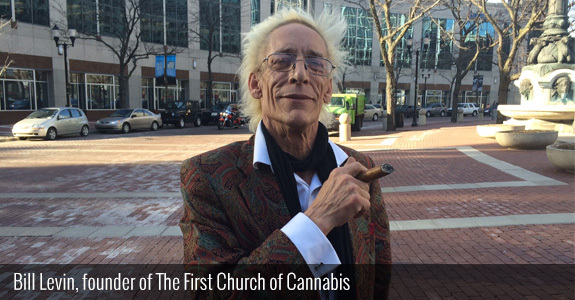 The secretary of state in Indiana, USA has formally approved the founding of The First Church of Cannabis, a new religious corporation that will hold cannabis as a core sacrament of its doctrine – despite cannabis being completely illegal within the state. The move comes after the signing of Indiana’s recent Religious Freedom Restoration Act, which has opened the way for new religious bodies to establish themselves. This new cannabis oriented church has been founded and approved with the intent that it will “start a church based on love and understanding with compassion for all." Despite cannabis being central to its doctrine, Bill Levin, the church’s founder, has stated that they will grow hemp, but no marijuana shall be grown, bought or sold. However, Levin has said that if a ‘cannataerian’ wishes to smoke within their holy halls, then “God bless them”. Now that the religion is approved, Levin plans to build a church on their Holy ground out of hempcrete, a long lasting, carbon negative building material created from hemp (that’s right, it actually takes carbon out of the environment!). Once built, the church will aim to help spread love and compassion, and teach its members how to lead a good, healthy life – with their commandments giving suggestions on how they should proceed. They will also focus on supporting the rehabilitation of heroin addicts, as well as those suffering from alcoholism. Member of the church cannot remain their status for free though. Oh no. In a comical nod to cannabis culture, Levin has stated that he will ask each member for a monthly donation of $4.20, to go towards the upkeep of the church. You would think that in a state where cannabis is illegal, publically creating a church that revolves around cannabis would be halted in its tracks. 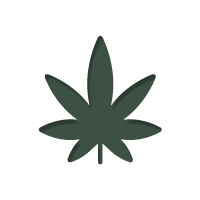 However, the wording of the new RFR Act means that as long as members of The First Cannabis Church can show their cannabis use is part of their religious practice, they should not get into any trouble. Writing on the subject, Indiana attorney and political commentator Hakim Shabazz has said that it has put legislators of the state is a position where they may have to formally acknowledge people who smoke cannabis for religious reasons. He went on to further say, “Remember, under RFRA, the state has to articulate a compelling interest in preventing you from smoking pot. I argue they can't." It is raising a lot of questions about the future of religious freedom laws, as well as the role cannabis has to play within society. We will be interested to see how theory rolls over into practice once the The Church of Cannabis has been fully established.